What baby gear can I rent? Why rent from Rockabye Baby Rentals? Rockabye is a trusted baby equipment rental service that has been in business for over a decade. 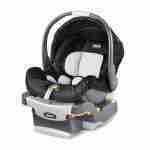 All baby gear is purchased new specifically for rent and all items are registered with manufacturers to assure we are notified of all issues or recalls. We operate a full time, year-round business and are family owned and operated. Thus, our staff is made up of owners, family members, and background checked staff. This is our livelihood; rather than a “side gig” or “hobby”; as a result our sole focus is to provide excellent friendly service. How do I rent baby equipment? Delivery, set up and removal is available at the customer’s use location. Regardless if the location is a hotel, a private residence, or a vacation rental property. Also, we are happy to deliver and pick up at your office if needed. 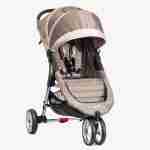 Whether you are the traveler, or the host, Rockabye has a solution for you to rent baby equipment. In our Texas and Louisiana locations, we also offer a Self Pick up & Self Return option during business hours at our warehouse offices. Can I rent baby gear at the Airport? With the ever changing rules and regulations by the Department of Homeland Security (DHS) and the Federal Aviation Administration (FAA) as of November 2017 we are no longer able to drop off or pick up baby rentals at Airports. These are restrictions of these Federal agencies and administered by the Airports. We realize this is an additional inconvenience to travelers, but we must abide by the laws, rules and regulations. Looking to Rent a limo service from Houston or Galveston Texas,Elite Town Car Services in Houston has car seats available for infants and children of all ages, Leave the heavy, bulky car seats at home and Elite Town Car Services will take care of the rest. We don’t just say that we believe in Safety, we live by it. Signature Livery / Carey Limousine is the premier car and limo service in the New Orleans area. Whether you require airport transfers to/from your hotel; or are planning additional travel around the city. Are there fees beyond the rental prices? 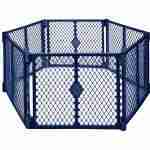 : : Order minimum – Rockabye has a $40 minimum rental requirement before tax and delivery. : : Taxes – Rockabye collects Sales & Use tax in each of our locations. : : Delivery – Delivery fee applies to all delivered orders. Fees are determined by delivery location’s zip code. : : Rush Fee – Orders that begin within 2 days of the date of order will incur a $20 rush fee. : : Outside Business Hours – There is a $20 fee for approved orders that require delivery and/or pick up outside our business hours. Our reservation call center is open 8:30 AM to 7:00 PM, Monday through Friday; and 9:00 AM to 1:00 PM Weekends. Our delivery and pick up times are 9:00 AM to 3:00 PM. Although, we can arrange alternate baby gear delivery & pick up times, by appointment. Alternate times incur an outside business hours fee. When calling our office, be aware that our staff actively participates in prepping orders, deliveries and pick ups. Thus, you may occasionally reach our voicemail. Please leave a detailed message and include your name and contact telephone at minimum. It is amazingly helpful if you also provide your rental dates, destination city, and the items you need. Your call will be returned as soon as someone returns to the office. All messages received during call center hours are returned the same day. Also, we respond to emails within 24-hours, but usually faster. Our baby equipment rental inventory includes: baby bed rental, crib rentals, car seat rental, strollers for rent, highchair rental. 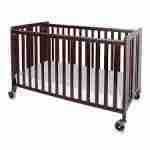 In addition to all types of baby gear rentals, and boxes of toys and entertainers for rent. 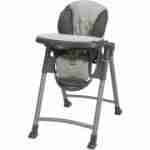 Thus, Rockabye Baby Rentals has baby equipment solutions at reasonable prices. In most instances, we maintain the largest inventory in the cities we supply. Groups and event planners can rely on Rockabye Baby Rentals to provide baby equipment rental for temporary child care and play areas. Also, Wedding parties often request rent baby gear like; child tables, chairs, in addition to play items for a children’s corner at receptions. 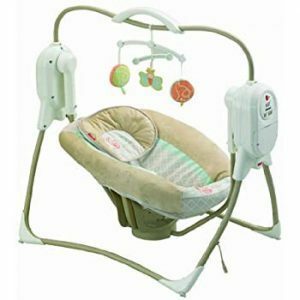 When relocating temporarily or permanently, Rockabye Baby Rentals offers great rates on baby crib rentals for longer periods. Corporations and Housing services depend on assuring your comfort while in transition. Thus, Rockabye takes care of the baby gear and crib rentals that furniture rental companies cannot. Also, we offer excellent long term rental rates. Whether your rental need is for a month or longer, we have a solution. So, Call us for a custom quote to rent baby equipment.